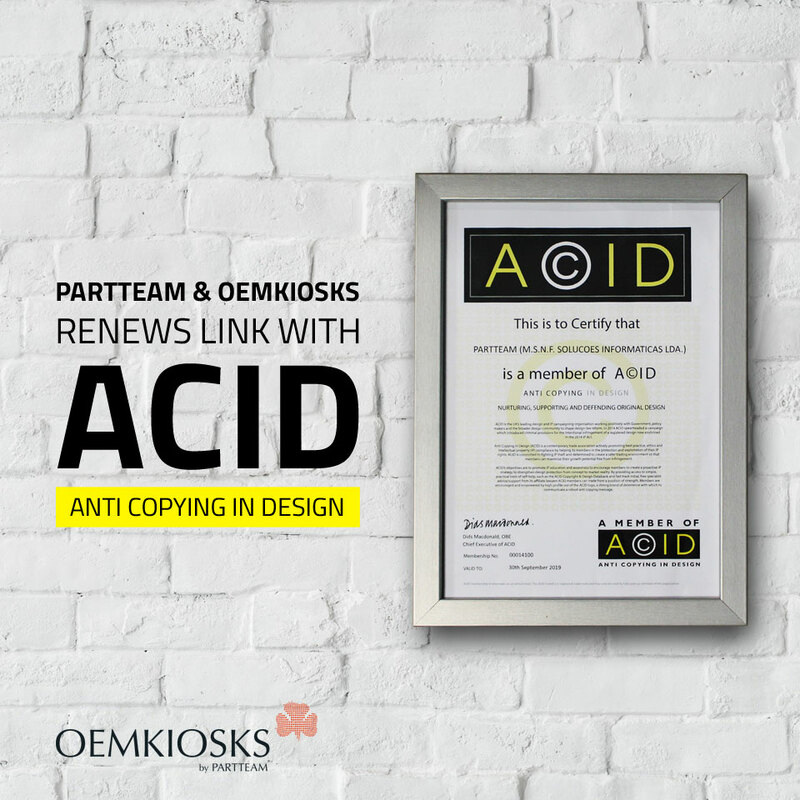 PARTTEAM & OEMKIOSKS renews for another year the link to the organization ACID - Anti Copying in Design. ACID is the leading British intellectual property (IP) protection organization, working in partnership with governments, policy makers and the international community of designers to design and reformulate the main laws protecting design and IP projects. With this certification, PARTTEAM & OEMKIOSKS reaffirms its integrity and respect for global intellectual property, designed by companies, manufacturers or designers with patented design projects. In order to safeguard their work and design, PARTTEAM & OEMKIOSKS as a member of ACID, has extra tools and resources to protect their projects and IP, vigorously applying these means to defend their copyrights.